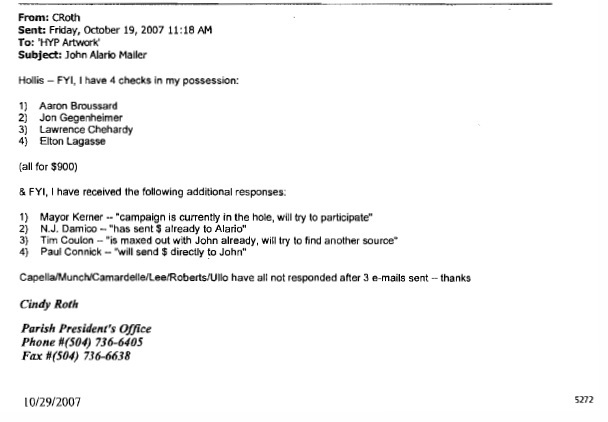 The landfill fix was in from way far back folks, and in going through the last massive PDF file I snagged last Fall on the terrible reign of corruption and filth that was the administration of former Parish President Aaron Broussard, I forgot the true extent of the historical goodies that I nabbed. 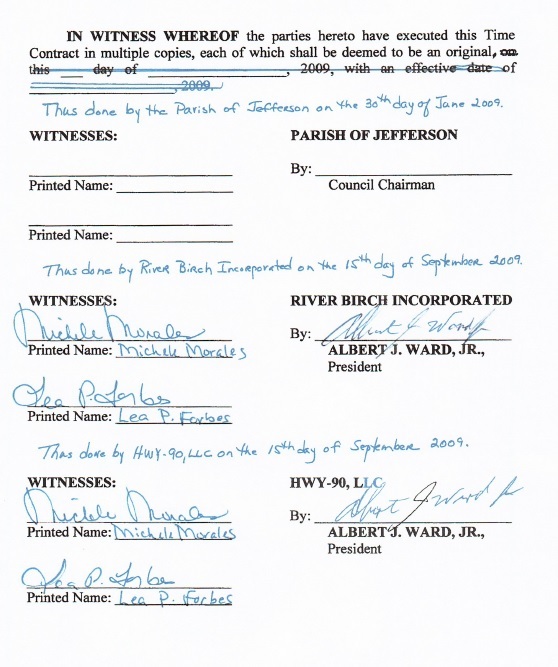 To catch everyone up back in February, 2010 I was like a kid in a candy store finding River Birch Inc. v Robin & Associates, Inc et al and this post provides vital background into how the River Birch Landfill gained the clout it carries today with the state and local political establishments. It was not a cheap or voluntary endeavor by any means. I hope to have version 2 ready for publication sometime this week. We are having compatibility issues though as some of you folks use Word Perfect while others are using Word. I run both but my goal is to have a shareable document in the cloud that is accessible to everyone on the Timeline team. I mention all this because the updated timeline will contain several entries related to the following documents, which I have pulled from the most sensitive part of the “Slabb O’Leak” document cache here at Slabbed New Media. With the Wilkinson guilty plea and the fact I believe he is squealing like a stuck pig these become very topical for reasons Slabbed will soon reveal. 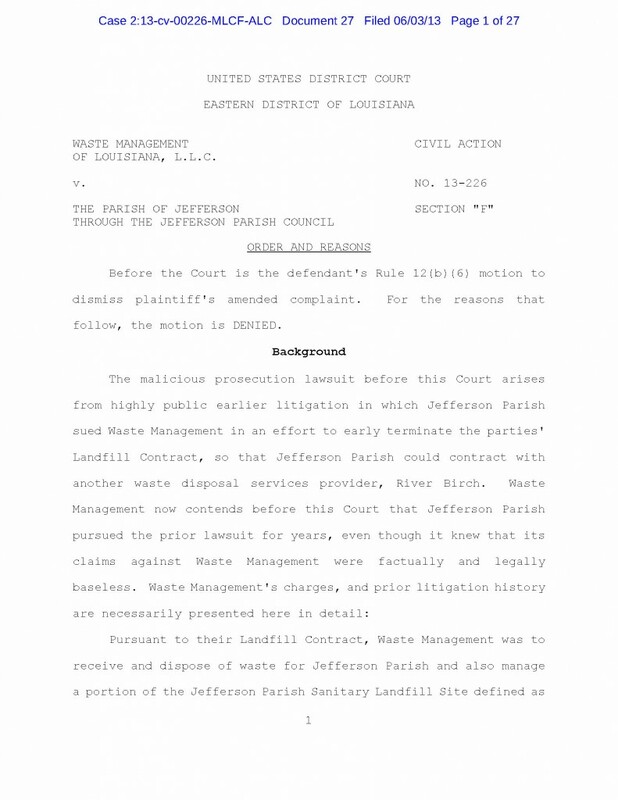 RICO Part 2: It’s a small world after all…..
And the first suit against the Old Gentilly Landfill was filed by the Sierra Club’s Mississippi based lawyer Robert Wiygul. 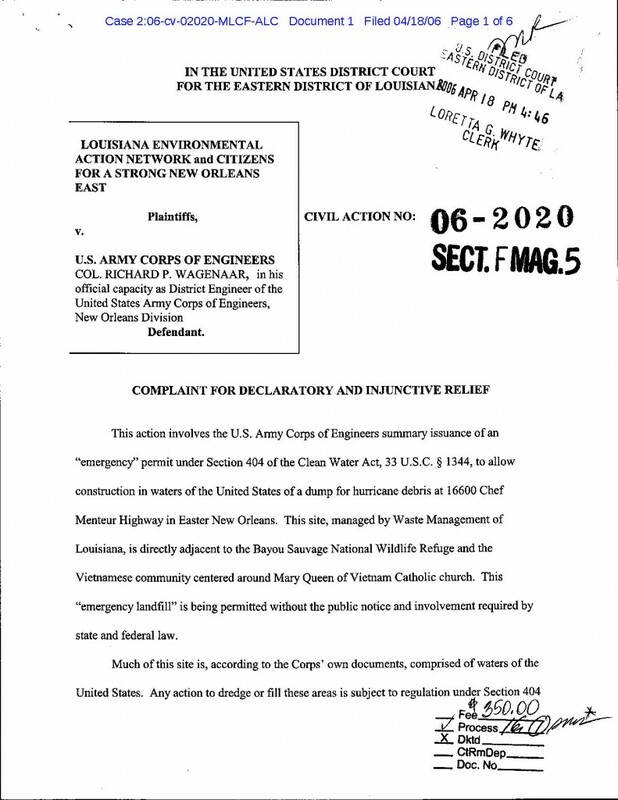 Author Douglas HandshoePosted on February 27, 2013 March 14, 2014 Categories SopTags LEAN v Corp of Engineers, Old Gentilly Landfill, River Birch Landfill, Sierra Club1 Comment on RICO Part 2: It’s a small world after all…..